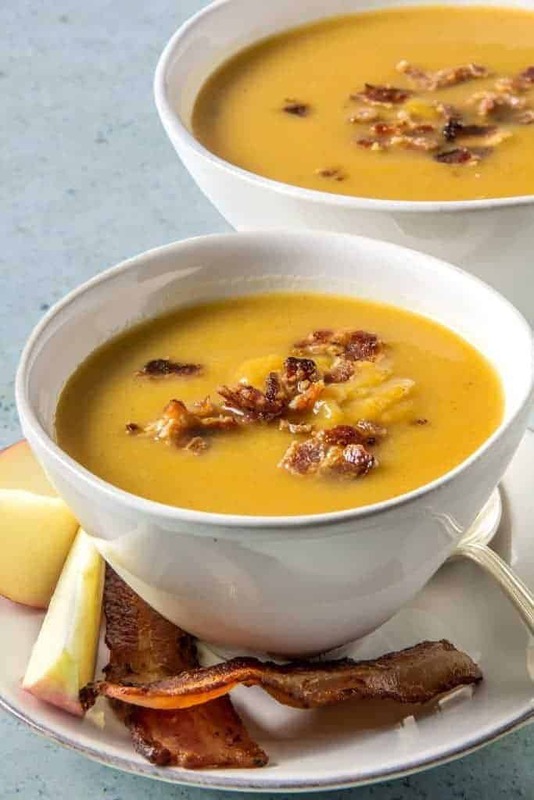 This recipe for a Pressure Cooker Butternut Apple Soup with Bacon is likely to be one of the simplest recipes you’ve ever made. 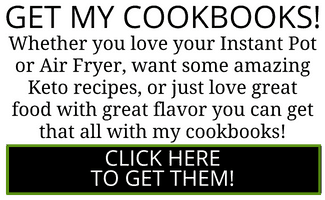 Unless you cook from my recipes all the time, in which case, it’s at least as simple as the other Twosleevers recipes. The soup has very little in it, but it all works together somehow. 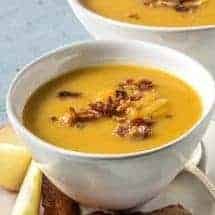 The apples add a wonderful flavor to the soup without being too sweet, and the savory bacon complements the other ingredients beautifully. I’m not sure why I keep making soups right now, since it is decidedly not Fall in Texas, but lately I’ve gone through a spate of Soup and Stew making. Whether it was the Vegan Chickpea soup with greens, the Vietnamese Bo Kho or the Thai Yellow Curry Soup, I’ve been on a Soup and Stew jag lately. Finish with a little cream and bacon and serve. 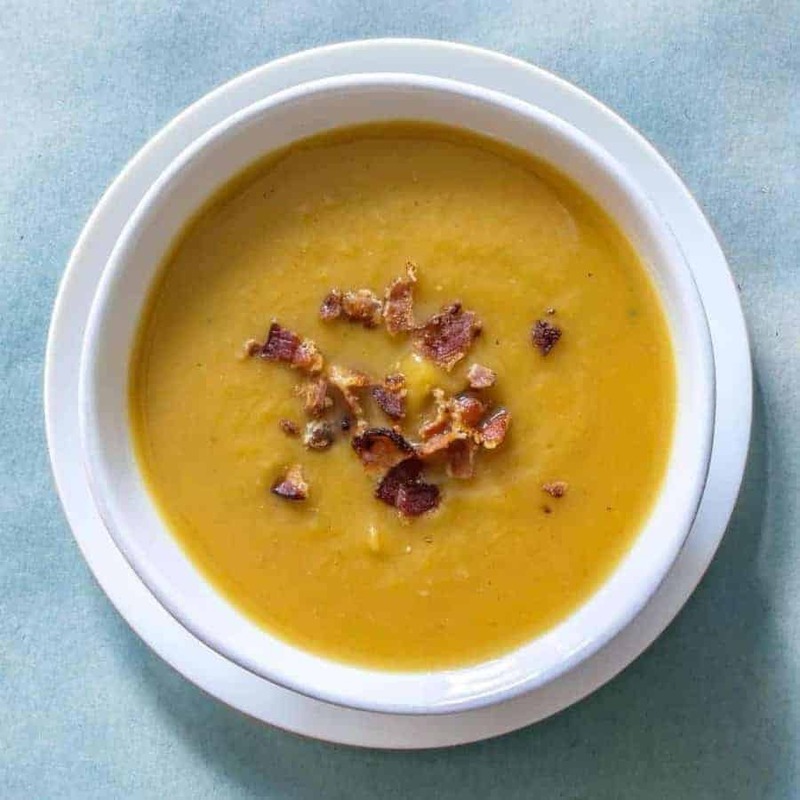 This is the easiest Butternut Apple soup with Bacon that you'll ever make in your pressure cooker. The apples add a wonderful flavor to the soup without being too sweet, and the savory bacon complements the other ingredients beautifully. If you have purchased a whole butternut squash, peel it using a vegetables peeler. Cut into half and scoop out the seeds. 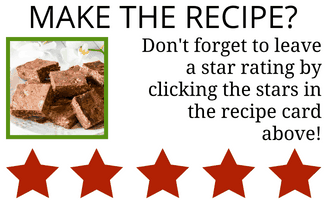 Cut into large chunks and now you're ready to use the chunks. Place all ingredients for soup in the inner liner of your Instant Pot. Cook at high pressure for 10 minutes, and let it release pressure naturally for 10 minutes before opening. Meanwhile, place the bacon on a foil-lined sheet and place in the oven. Cook until crisp, about 8-10 minutes. Remove bacon and crumble into delicious bits and set aside. Once the soup is finished, remove the lid and carefully puree the soup using an immersion blender. Mix in cream if if using and pour into serving bowls. Sprinkle with crumbled bacon, parmesan or blue cheese, and dig in! I’m a bit confused. What do I do in the preheated oven? Roasting everything? For how long? 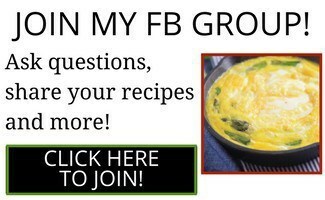 Thank you for the recipe in advance. This soup was delicious! I made 1.5x the recipe since I was serving this as part of a soup/sandwich dinner and it was a perfect amount for 6 hungry adults with one serving left over. Left out the bacon since our sandwiches had other meat in them, and added the cream to individual bowls instead of the whole pot since one of my guests is lactose intolerant. I would definitely make this again!